I eat a lot of chickpeas. Some would say too much, but not me. I love chickpeas, like, a lot! Chickpeas are probably my favourite protein next to lentils. I don’t think this whole plant-based-diet undertaking would be the same if chickpeas did not exist. The great thing about chickpeas, besides being a good source of protein, fibre and folate, is that it’s such a versatile little legume – we’ve made cookies, burgers, savoury cakes, ratatouille, salads, hummus, crepes and plenty more with chickpeas. We keep a stash of chickpeas in the cupboard, I cook my own chickpeas because it tastes better, it’s cheaper and convenient to have around to throw into salads, soups, stir-fry etc. for added protein. I used to get roasted chickpeas from the Italian store; crunchy, spicy and hot! they were so very moreish; then I found it’s just as easy to make at home. If you have cooked chickpeas, it’ll make for a quick and healthy snack. These are perhaps one of the fastest snacks you’ll make in a while; all you need to do is grab a jar or can of precooked chickpeas, toss with a little bit of nutritional yeast, pepper and salt, and bake until golden. That is it! Spicy roasted chickpeas are one of our favourites snacks to bring on road trips and plane rides; I love bringing snacks and treats on long flights, it makes such a great difference, it takes the journey from bearable to enjoyable. The nutritional yeast adds a savoury ‘cheesy’ flavour to the chickpeas, pepper adds heats and salt rounds out the seasoning; it bakes slightly crunchy, and tastes spicy. Do feel free to add your favourite spices and or change the spices up as desired. 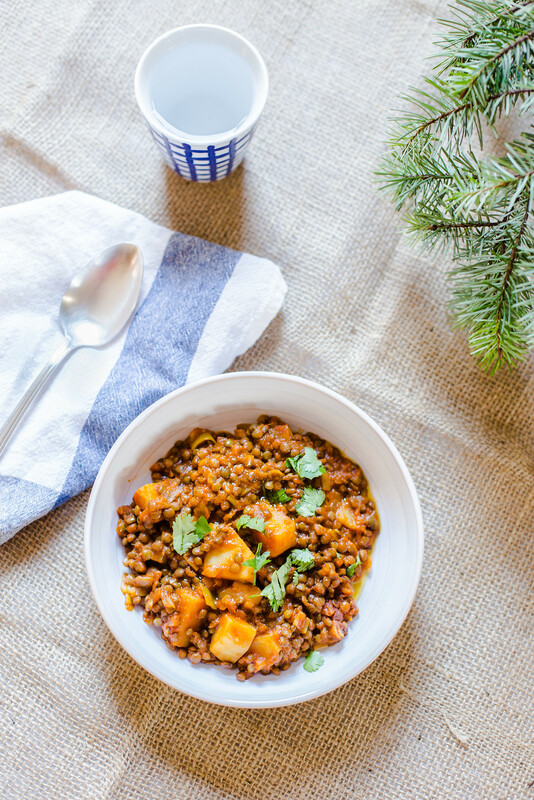 These chickpeas came with us on this last trip to Paris, and this weekend, while setting out decorations for the season, we munched on spicy crisp chickpeas and sipped apple cider while listening to Christmas carols. A great and healthy snack food, Perfect for those with nut allergies. It's a little addictive! Roasted chickpeas will lose its crunchiness after a day or two, but will still be very good! If your chickpeas are coming out soggy, increase your oven heat and cook for a little longer, keep a close eye on it to make sure it doesn’t burn.